What is a Business? - Brigitte Belsky ~Helping You Create Your Laptop Lifestyle! Laptop Lifestyle – Is it for you? What is a Niche? & How to Find Your Niche! So what is a Business? with the aim of covering their costs at the very least but ultimately make a profit. All these elements (also known as departments) are done in-house or outsourced or a combination of both. All these factors are outlined in a business plan. It describes the ‘what you want to achieve & how you plan to achieve’ your business’ vision, including the growth potential and financials. It’s the road map for your business’ future. Have a good regular base of very satisfied customers which earns him profits double his current salary. 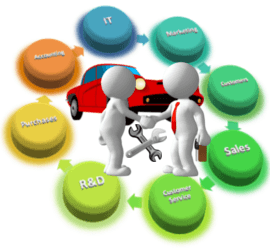 Businesses begin with an idea which is implemented and consistently nurtured to reach whatever level is envisioned. Along its journey the idea and vision can grow or alter or come to a complete shutdown. Businesses contribute and affect all areas of our lives. 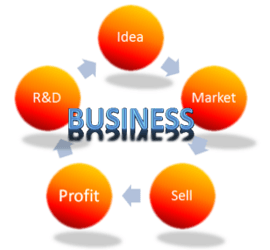 We now have an understanding of what a business is and the various basic elements that make up the running of a business. It might seem a lot to take in, but it’s amazing how we automatically do & learn it all on our entrepreneurial journey. In future posts we’ll focus on the types, creation, managing, etc… of online businesses for the individual entrepreneur – YOU! Need help with some of the terminology used here? Have any questions? Feel free to ask them below and chime in any discussion. I came upon your site and I’ve been navigating through it realizing you have some excellent points about an internet or online business that you wrote about in laptop lifestyle. Even this page brings up some great points about the commonalities of companies as a whole. I will have to book mark this site for later reference to read more of your posts etc. Many thanks for coming by Travis & sharing your thoughts. How To Get Around Writers Block – A Fun Way For Bloggers! © 2018 Brigitte Belsky ~ "Helping You Create Your Laptop Lifestyle!"